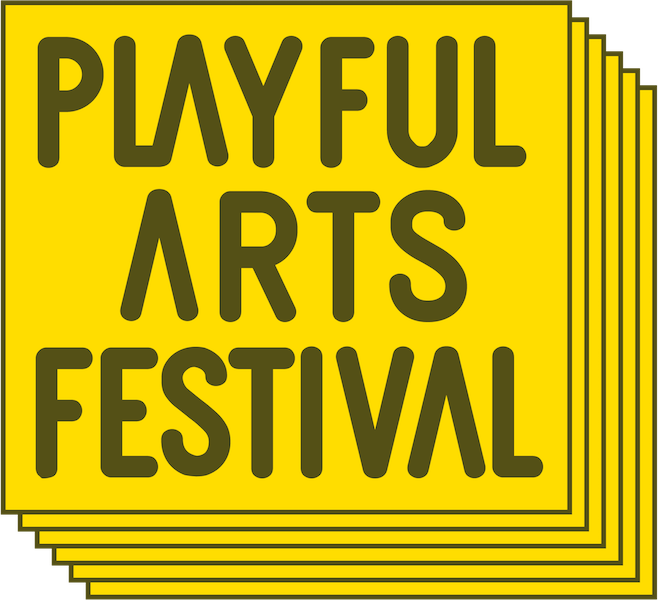 Two days of Playful Arts! Below you will find the schedule for each day. More info on individual projects can be found under programme. 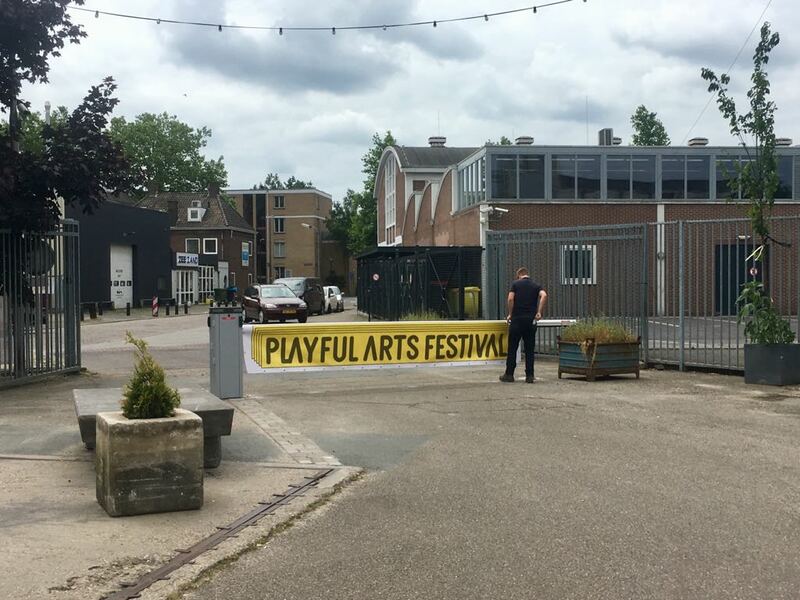 First day of Playful Arts Festival! With an exhibition, masterclasses, live workshops, a symposium around the theme (t)Here & Now and the official opening. 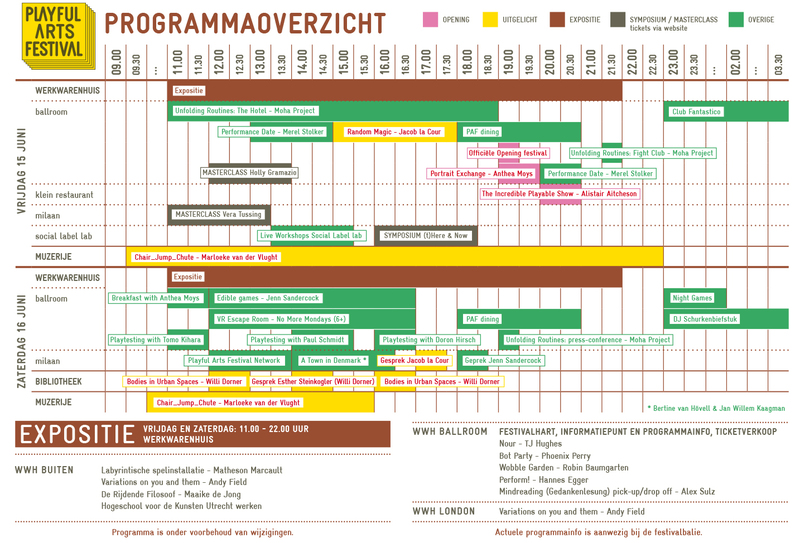 Entry to the festival is free except for the masterclasses, symposium and club night. You can buy tickets at the door (cash) or via Eventbrite. A few (free) projects have limited space available and work with sign ups, you can sign up for these at the festival desk. Find the "Hotel Desk" and start your adventure! Merel invites you to meet her for a short encounter in the here & now, in the form of a date. First a conversation, slowly objects & actions will take over. In collaboration with Social Label (Simone Kramer and Petra Janssen). Sign up at info desk to participate. Tickets via Eventbrite or cash at the door. The Incredible Playable Show - Alistair Aitcheson. Chaos, hyperinteractive, super energetic show in which the audience becomes both the players and the game components. Chair_Jump_Chute - Marloeke van der Vlugt et al. A chair? A jumper? A costume dangling from the ceiling? Try things on and experience what happens! Intimate performances developed by and for young and upcoming art and music talent of ’s-Hertogenbosch. Second day of Playful Arts Festival! Get to know our artists better through conversations, play and playtesting. How about some edible games, Nordic Larp (improv), or recording audio experiences? We close the festival with Night Games projected on the walls outside. while dancing on the beats of DJ Schurkenbiefstuk. After auditions and 5 days of training our ‘Bodies in Urban Spaces’ performers will brighten the streets and have us look at all the nooks and crannies of ‘s-Hertogenbosch. Casual conversation with Anthea Moys about her work and art practice. Breakfast can be bought at Restaurant van Aken. Play with your food... literally! There's maybe even some home-baked goods in it for you. Verstop objecten en ontwikkel je eigen geheimtaal waarmee je ouders, broertje/zusje of vriendjes thuis jouw EscapeVRoom verkennen. Wie kraakt de code het snelst? Sign up at the festival desk to participate. Get to know Danish artist Jakob la Cour and his art practice in this conversation. Bring your questions! Get to know Jenn Sandercock and her edible games work through a conversation! Bring your questions! Perhaps you went on an adventure with Moha? Or want to know all about it? They're going to hold a press conference. Be there! Night Games projected on the walls outside! A hand-picked selection of national & international local multiplayer games and artistic indie games. Gather in front of the public library. Be on time. Route through the city. You'll be guided along.